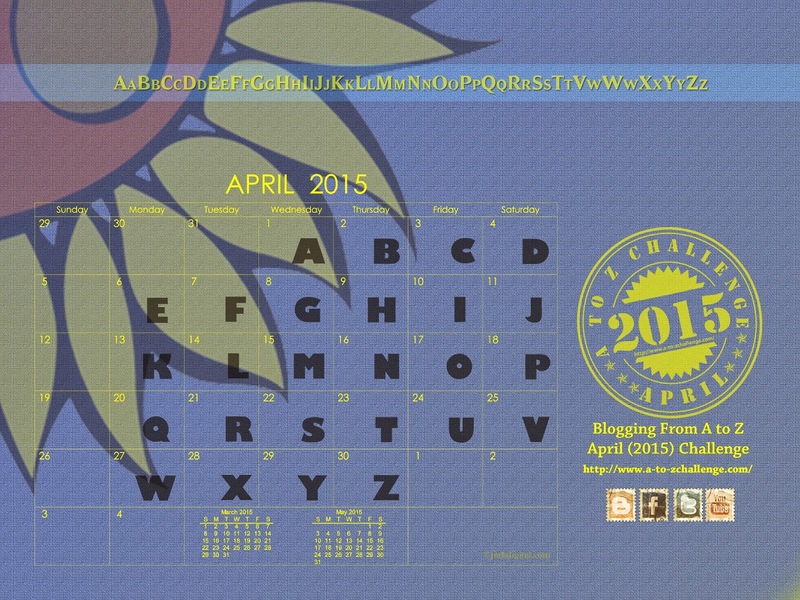 What is Blogging A to Z April Challenge? I found out about this challenge last year, but I was new to blogging, so I didn’t take part actively, although I wandered around participating blogs to get the feel of the activity, and I enjoyed it very much. I met some wonderful bloggers, and I promised myself I’d take part the following year, so here I am. The first week’s going to be a struggle because I’ll be away from home (and country), and although I’m already preparing my first posts, taking my laptop, and I’ll be in London with Internet connection, I’m still worried about getting my posts out on time. I’m crossing my fingers. Don’t forget there’s a Theme Reveal on 23rd March. You don’t have to have a theme, but I’m sure it helps focus and turn out 28 posts for the month! I’ve already planned mine. There’s still time, but I suggest you start preparing if you’re thinking of taking part. Your blog will be on view to many potential and new visitors, and we’d all like our visitors to leave with a good impression. So, are you joining in? Very interesting idea but I don’t think I’ll be able to fit it in this year. Maybe next year…Good luck and enjoy London! The challenge is something I really wanted to do, but it’s going to be a struggle to make the daily deadlines. Thanks! I’m really looking forward to it, too! I’ll be in touch soon regarding my theme. I thought I might try…. Let’s see. Like you will be a way for part which doesn’t help. I’m planning ahead. I’m almost sure I can make it. As long as it doesn’t rain I’ll be happy! Rain, London? Clearly you’ve forgotten what a warm dry city this is!! I’m on this – have ten posts in the tank already! Thank you! And welcome 💗🌹 My theme’s ready. I’ll be away till the 5th April, so I have to prepare in advance!